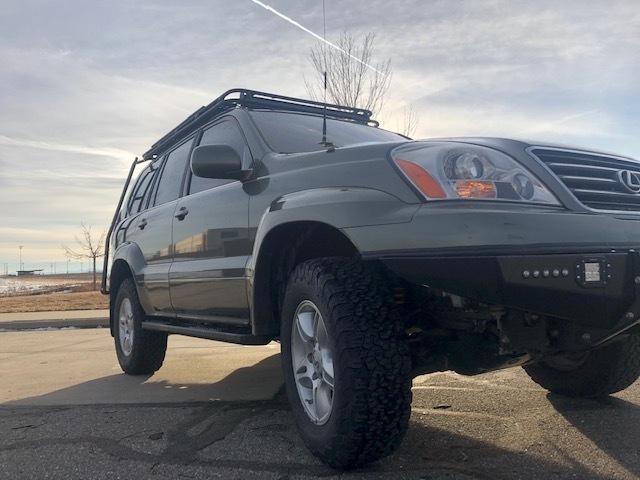 Here are even more unique options available for customizing your Gamiviti roof rack, and adding even more functionality to the platform. 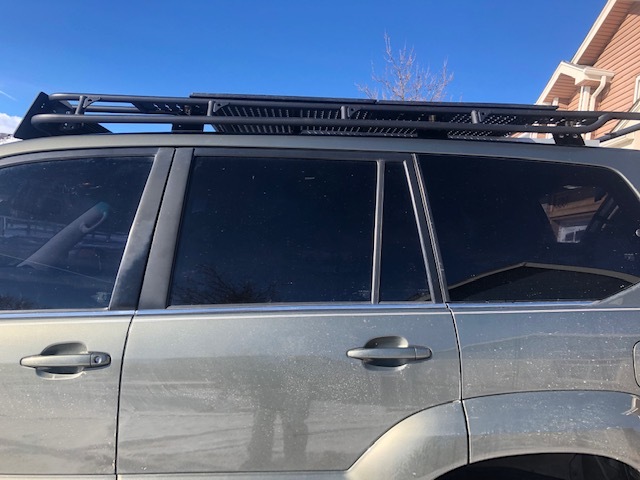 A new option for 2019, you can now add a 2’ x 4’ grid panel to your roof rack. This is an alternative to the grid floor and drop-down baskets, offering a flat surface to catch smaller items, or create a floor beneath your large cargo bag. It’s strong enough to stand on, will support a chair, and it’s easily removable using the same tools you used to install your rack- all matching stainless bolts, aluminum spacers, and steel backing plates. One panel includes harward to install into 2 of the slotted plates in the rack, and hardware to wrap around one of your cross bars. It will take you about 10 minutes to bolt this on, and about 5 to remove it. Main benefits include.. Plastic panel, is scratch resistant, will not rust or get very hot in the sun. Increase the versatility of your roof rack- add the panel for those trips when you need to haul smaller items like firewood or use as flooring beneath your large gear bag, then remove when you install your RTT or bring lumber home from the home store. Lower cost compared to grid floors and drop baskets- $45 per 2’x4’ panel including all of the hardware, ships with your rack for free. Introducing megabracket. 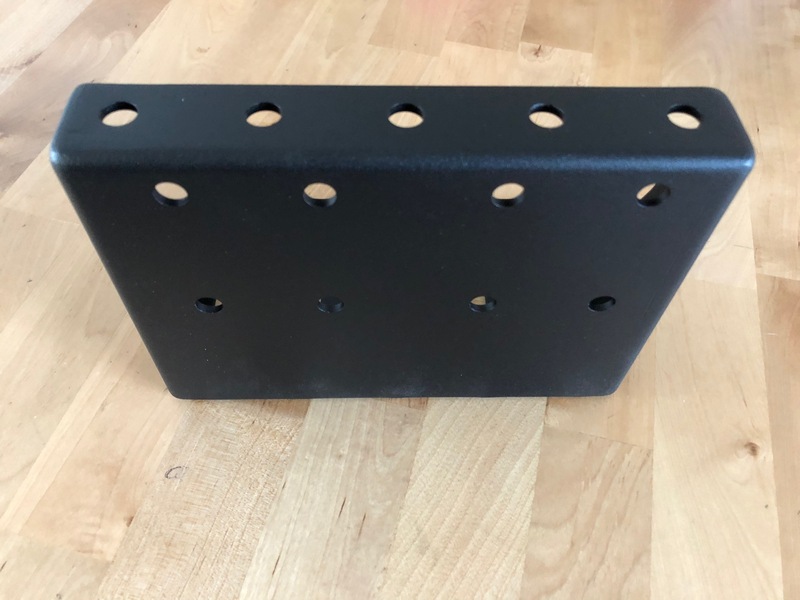 This bracket was custom designed to provide you with a new suite of options for adding bolt-on accessories to your roof rack, trailer, or other overlanding project. Originally conceived as a way to join the new Alu Cab Shadow awning to your Gamiviti rack, its uses are really only limited by your imagination, and of course your accountability for making your own responsible vehicle modification decisions. 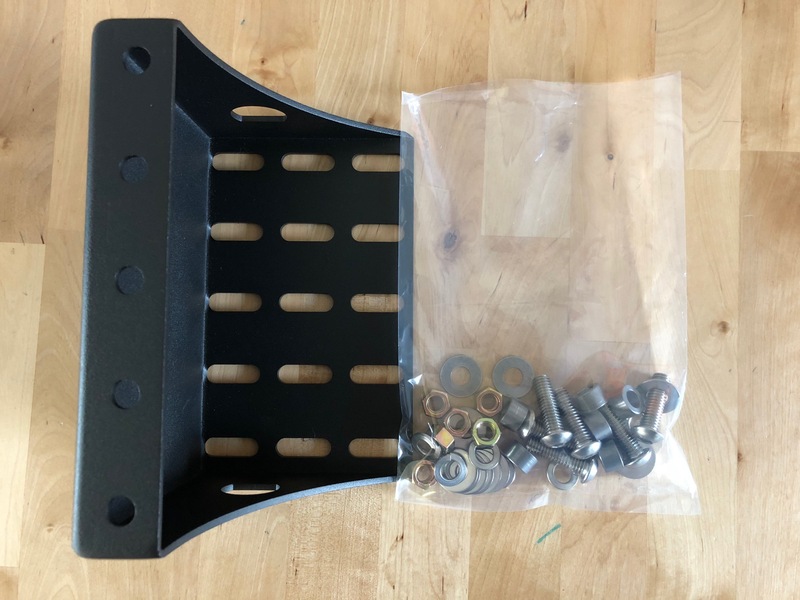 Each megabracket comes with 6 sets of hardware, all the same stainless stuff you're used to seeing on all of the towers, awning receivers, and other accessory products offered by Gamiviti. A space for water and dirt to go, and leave- less "plate on plate" assembly that can wear powder coat, and introduce rust. Provide a vertical shim to allow the bracket to run planar to the top edge of the roof rack, even extend over the side of it. Allow for the installation of rooftop tents on racks that run the Expo bar "up." These bars allow the RTT to open over the top of the Expo bar. 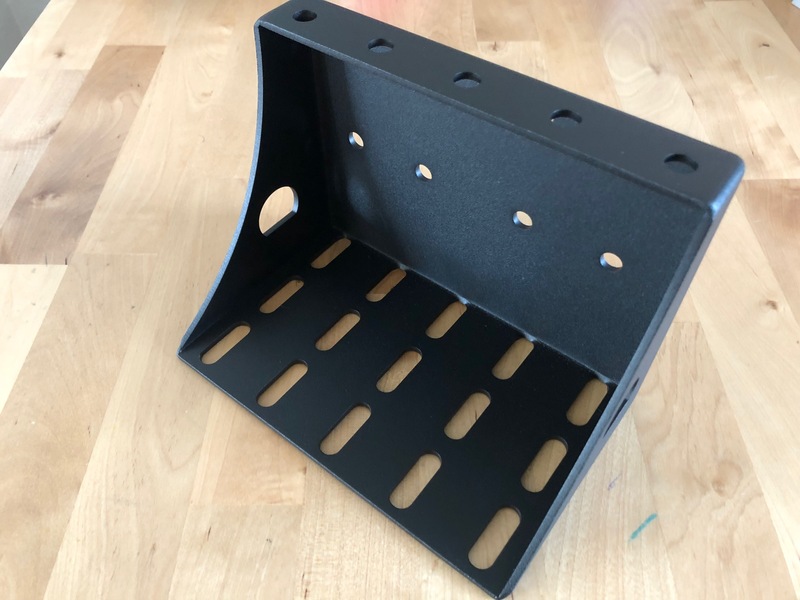 Allow for installation of some aftermarket accessories that require the accessory to extend below the top plane of the rack, including some bike racks and cargo boxes. Provide a space below a RTT for storage of smaller items. This is even more useful on racks where a drop-down basket has been added. Serve as an easier tie-down option for some boats and kayaks, where it's advantagous to have them raised slightly above the main rack plane. Transition the installation of a RTT from under the RTT, to outside the tent, where it's much easier to manipulate the nuts and bolts. When left on the RTT, provide an easier means to carry and hang the RTT in storage. Securing a boat or stand-up paddleboard, over a RTT. 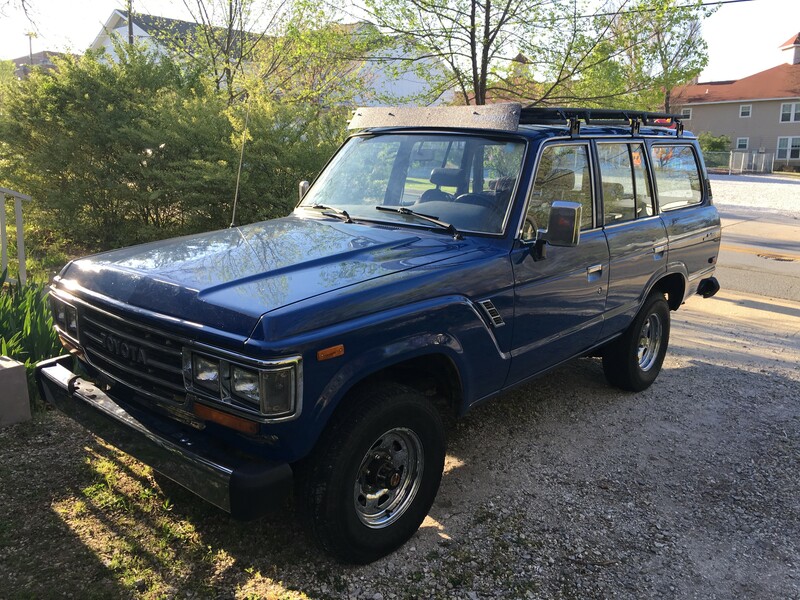 Raising a RTT enough to stow curf boards or SUP's underneath. Positioning a bike rack or other accessory over another accessory. Example- putting Rotopax underneath your bike racks. Can be made to hinge open, which means you can push it up from the inside without tools. Provides shade to the sunroof, making the glass and cabin area noticably cooler. Installation uses rubber-coated pipe clamps, as well as Gamiviti's custom stainless clamps. Same hardware we provide with the bolt-on and snap-on fairings. The stronger of the two.. while both are certainly strong enough to sit on and hold camping gear, you can stand on the grid without issue. Can still see through it from inside, when there's nothing on top of it. Bolts on, so no provision for being able to open from the inside without tools. Every accessory ships for free when you purchase with your rack. We will literally bolt these up to your rack and ship them as one unit. Shipping is also available, should you wish to add an accessory to a Gamiviti rack you already own. Please email us which products you are interested in and we can confirm costs. Wind fairings are intended to reduce wind noise, and they do. And on racks where a light bar is run inside the Expo bar in front, they also protect and hide the light bar. They are black ABS plastic, 48" wide, and pre-drilled for most applications. Additional holes can easily be added as desired. For roof racks with an Expo bar running down, the Expo bar is the support for the fairing- for bolt-on fairings you simply put 4 clamps across the top, then use 2 more on the lower bar for to eliminate rattles. And for snap-on fairings, custom stainless clips are attached, which grab both the top and bottom bar to hold the fairing in place, allowing for easy removal. More info on installation can be found on the Installation Tips page. Flat racks, and racks with Expo bars running up, which weren't built with the intention of running a wind fairing, will require some creativity on your end to make it work. You are still welcome to purchase a fairing, and with a little ingenuity you will come up with something. Bolt-on fairings will ship with 6 sets of pipe clamps, bolts, washers and nuts. Clamp-on fairings ship with 7 sets of custom stainless clamps, along with bolts, washers, and nuts. We all own them, have used them, so why not continue to enjoy them by bolting them up to your Gamiviti rack. This is easy to do by making some spacers to go around the 1" bars of the Gamiviti rack and cross bars. Slit the sections lenghwise, then slide them over the rack bars where you want to mount the accessory. Install the accessory, as if it were on a larger 1.125" bar. Awning receiver brackets and lights all have their own page. So please use one of these links to access them, or you can always get there from the main Products page.